The Saint Agustine Church or more Famously known as the Paoay Church is located at the historical town of Paoay in the province of Ilocos Norte in the Northern part of the Philippines. This historical church was constructed by the Agustinian Friars from 1694 until it was completed two hundred years after on 1894. 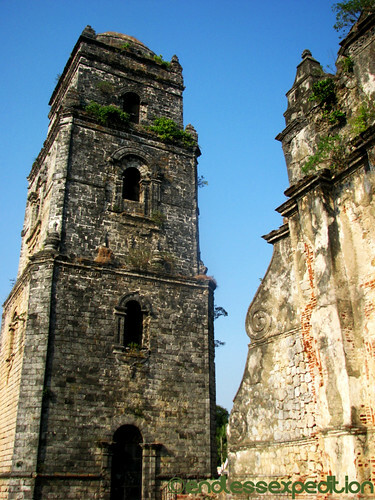 Paoay Church is one of the UNESCO World Heritage Sites in the country. 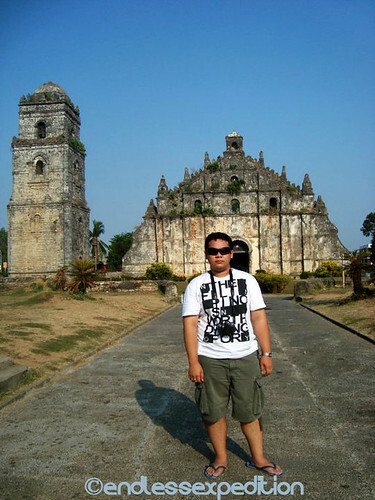 Me at the Facade of Paoay Church. It's Beauty and Architecture is just simply a wonder. How to get There: From Manila, take a Bus ride going to the Northern City of Laoag City, the capital of the Province of Ilocos Norte. The Bus ride will take about 10 hours so its better to leave the Capital at nighttime and arrive at Laoag City in the morning. From Laoag: You can hire a tricycle that would take you there directly but for quite a cost. But for Travelers like me, we can always take the longer but less costly way. 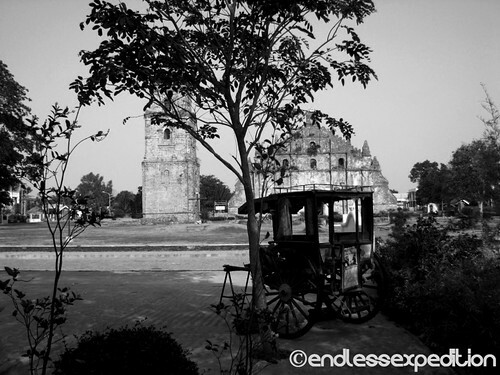 Ride a Jeep from Laoag to the City of Batac where you can take another short jeepney ride to the Church of Paoay. Me posing at the Church's Backside. Notice all the Carved Buttresses around the whole Church. This is the key feature of the Church which supports the whole building especially on times of Earthquakes since the whole country is located in the Pacific Earthquake Belt. Steven's Travel Tip: To save a lot of things including money, time and energy, take long bus rides (and train rides) at nighttime. This will allow you to save a lot of money with hotel expenses since you can turn your comfy bus seats into cozy hotel beds. And since you are travelling at night, arriving at the town in the morning will give you much more time to roam around your destination yet with energy on full blast mode. One thing I noticed with Churches along the Ilocos Regions is that their Bell Towers are usually separated from the church building compared to usual churches in the country where in the bell tower is a structural part of the main church building. Some of the Ilocanos said that it is due to the frequent quakes that the region is experiencing. If the Towers is detached, there is a safer distance from the Sanctuary in case the Tower would collapse due to natural phenomena. 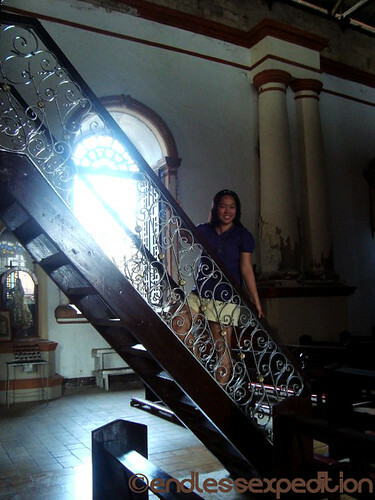 Ilocos Norte has so much in store for lovers of History just like me. It doesn't just show its visitors the history, but it relives it in your very eyes. Paoay Church is truly one of the landmarks of the Province and all I can leave you is to share what I have felt during my very first visit and even my latest visits to the church, even though pictures of the church such as these can truly amaze you, there is this unexplainable magic that the church will surely offer you by the time your eyes would set on it. 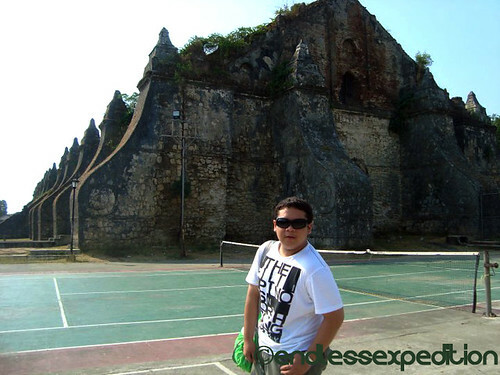 Visit Paoay Church, enlive History.